The Tech Works CI-ODC-4 Operator Desk Console is part of the Collaborative Intercom product group designed to take a variety of Audio Intercommunication products and let them talk to each other over the Tech Works CI-Buss. The CI-ODC-4 allows a single operator location to communicate selectively with up to 4 separate systems in 4 separate rooms. It includes a professional cardioid, condenser, gooseneck microphone, and a speaker. Buttons and indicators provide control to allow the operator to just listen to the CI-Buss communication or to talk, and collaborate hands free. A headset jack on the side of the console allows connection of a local operator headset such as the CS-540 wireless unit. Setup is plug and play with an integral speaker level control to adjust the listening level. No further adjustments should be required for standard operation. Integral VOX and ALC allow for full duplex conversations without feedback. 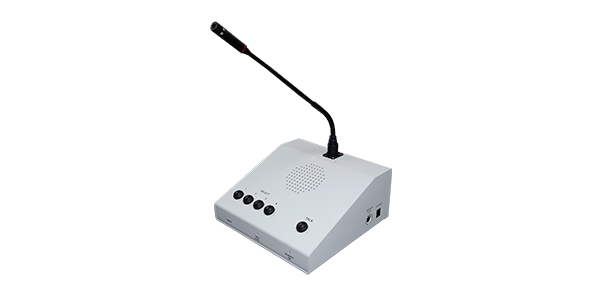 The CI-ODC-4 can be used in a small Intercom when connected to a single CI-Buss product or as an addition to larger systems using microphones, speakers, and a variety of CI-Buss and PA-Buss devices. The Intercom can simply plug together using standard CAT- 6 patch cables. When connected to another CI-Buss unit all headsets, speakers and microphones become part of that system.